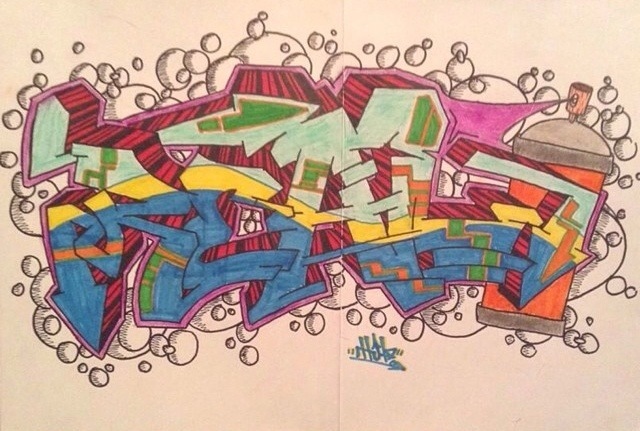 The fam recently tagged us in this dope throwie he laid down .. Make sure you follow the homie and keep up with his progression on this site. This entry was posted in ART and tagged art, artwork, blog, cities, city, cool, culture, dope, dopest, gully, gullymag, gullynation, gullysteez, hip-hop, hiphop, ill, illest, legends, mag, magazine, music, paint, painting, photo, photography, rad, rap, real, steez, street, streetart, style, swag, urban, write, writing by Gully Steez | All Things Dope. Bookmark the permalink. #GullySteez means street style and we're a hub of creativity dedicated to showcasing all things dope in art & hip-hop. Aside from our promotional platform we're also developing an e-commerce solution for indie artists and currently host two sketch contests, a black-book graffiti battle, and a year-round poetry giveaway. We're not just building a Hip-Hop media brand. We're cultivating a family. Do you got steez?